Lemon Glycerine Swabsticks by MedLine are an oral hygiene product that soothes and refreshes dry mouths of patients with restricted oral intake. The tangy citrus flavor of lemon in the swabsticks stimulates the taste buds and saliva flow while the glycerin stimulates the salivary glands. 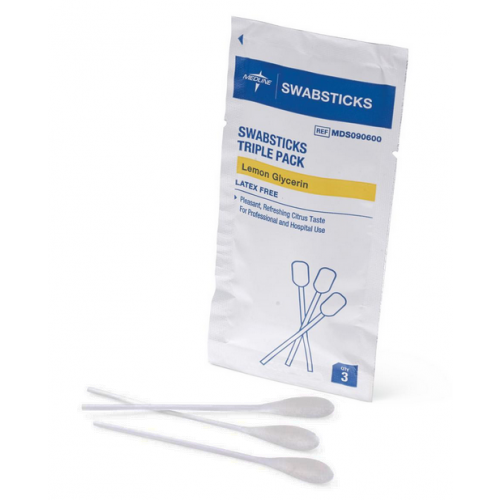 The swabsticks have a pleasant, refreshing citrus taste. The tips are plastic rayon and the swab is saturated with a clear solution with a lemon scent. The glycerinate in the personal care swabsticks helps in lubricating and softening tissue. And the 4" tip makes it ideal for applications. These glycerine swabsticks are effective for patients with parched lips, patients on oxygen, or patients with fluid restrictions as part of routine oral care. Lemon Glycerine Swabsticks by MedLine comes three swabsticks per pack, with a foil packaging that helps keep the swabs moist until use. They are latex free. The swabsticks are packaged in boxes of 75 and cases of 250. 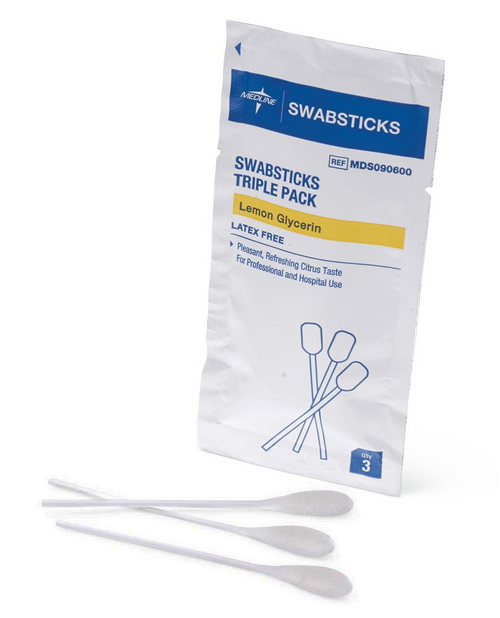 The swabsticks are effective for patients with parched lips, patients on oxygen, or patients with fluid restrictions as part of routine oral care. Mother loves these. She suffers from dry mouth.